We live in a time where everyone, and everything, is connected to the Internet. Smartphone and tablet use is growing at 10 x that of PCs, and we’re using these devices to do more and more things. This is why it’s so essential to be aware of and guard against threats that can affect your devices. 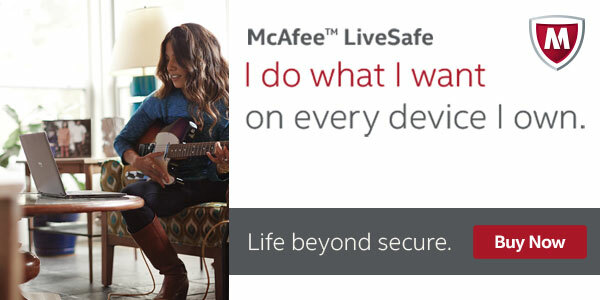 McAfee’s latest products don’t just focus on your PC or mobile device – they focus on you and your digital life. Along with whatever device you’re using, they protect your personal data and information, so that you can get online with complete peace-of-mind. 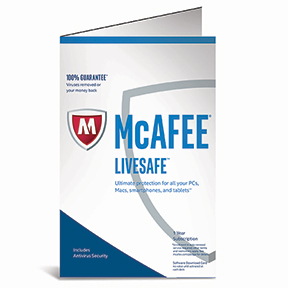 McAfee LiveSafe, Internet Security and Total Protection now work with all Android and iOS tablets and smartphones, along with Windows PCs and Apple Macs. Access everything that’s important to you without the hassle of having to remember multiple passwords. With True Key by Intel® Security, you are the password. Unlock apps and websites using things unique to you, such as your facial features or the devices you own. From there True Key helps make your current passwords stronger, remembers them and instantly logs you in. Easy: You don't need to remember multiple passwords and can enjoy instant access to apps, software and websites. Safe: Multiple unique factors unlock your devices for much stronger security. Military-grade encryption keeps your data completely secure; even if your device is lost or stolen. Private: Your True Key info is never seen or stored anywhere, so it can't be stolen or copied. The True Key app measures your unique facial features to sign you in. Use your device's fingerprint reader to sign in to the True Key app with a simple swipe. When you sign in on your PC or Mac, you can receive a notification on your smartphone. Just swipe the screen to verify it's you. The only password you need to remember - log into True Key using your master password to automatically add individual passwords to apps and accounts. 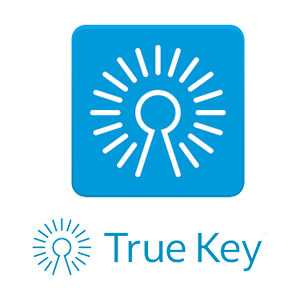 The True Key app will send an email to your inbox - just click on the link to verify it's you. True Key recognizes which devices are yours and notifies you if a sign-in is attempted on a device other than your own. All McAfee products now look after your Apple iMac and MacBook. Mac users may not be affected by PC-based viruses, but the Internet carries risks to OS X as well. This all-inclusive security software defends against hackers, identity theft, phishing scams, malware, viruses and more. It protects your family from unsafe or unsuitable websites and lets them surf the web without worry. The firewall allows you to restrict specific apps and software from communicating via Internet or local area networks. 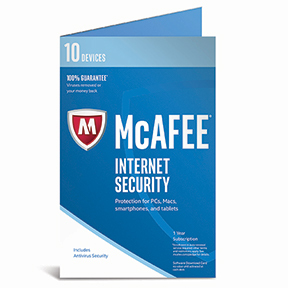 All McAfee security suites now provide complete protection for each PC, Mac, smartphone and tablet you own. As well as this, all products come with free customer support - you can contact a McAfee expert via live chat or phone for free (local phone costs may apply).